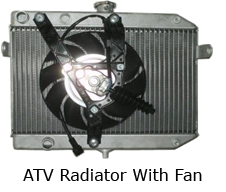 While achieving superior performance our aluminum radiators with aluminum tanks are still a low cost leader. 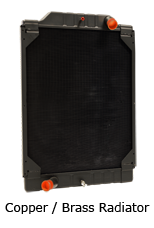 Our product is designed to be lightweight and provide long term durability. They can be configured with a fan or without. 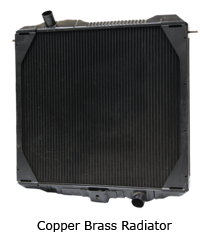 In the forklift industry, our radiators provide unmatched durability. They were designed to withstand difficult environments and not create downtown for the user. Due to our experience in this market, we are able to provide your custom designed product with a low tooling investment. 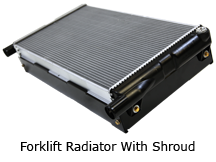 While matching the streamlined body of today's automobiles and promoting low fuel economy, our Aluminum radiators are designed with a low cost option for meeting the diverse driving conditions and are optimized for passenger cars by pursuing the limits of compact size and low weight. 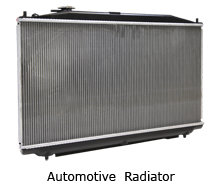 Available in both corrugated and plate fin styles, this Copper/ Brass type of radiator is most commonly used in large off-highway vehicle applications. 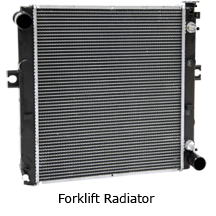 These cores have been engineered for superior performance in high-debris applications.